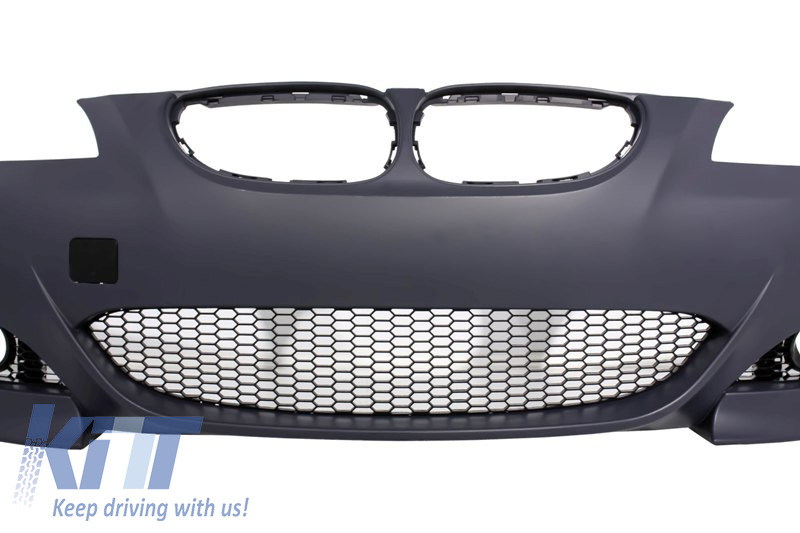 This front bumper is meant to add a sporty touch on your 1 Series BMW and transform your BMW into a genuine M-Technik design. 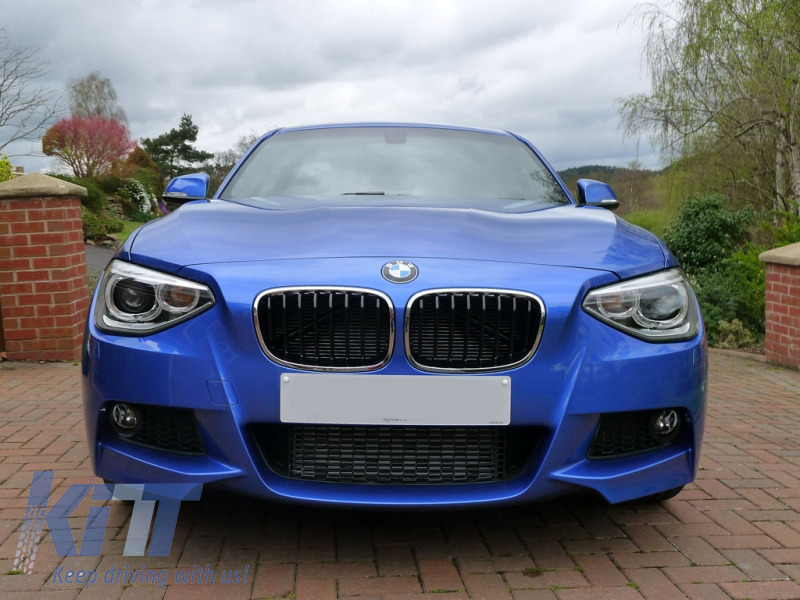 Front bumper M-TEchnik, M-Sport Design equipped with central grilles, central lower grille, projector grills. 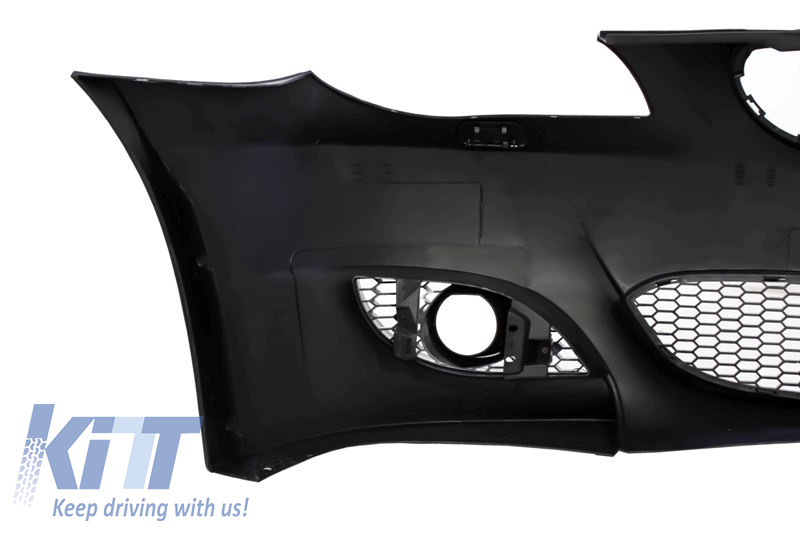 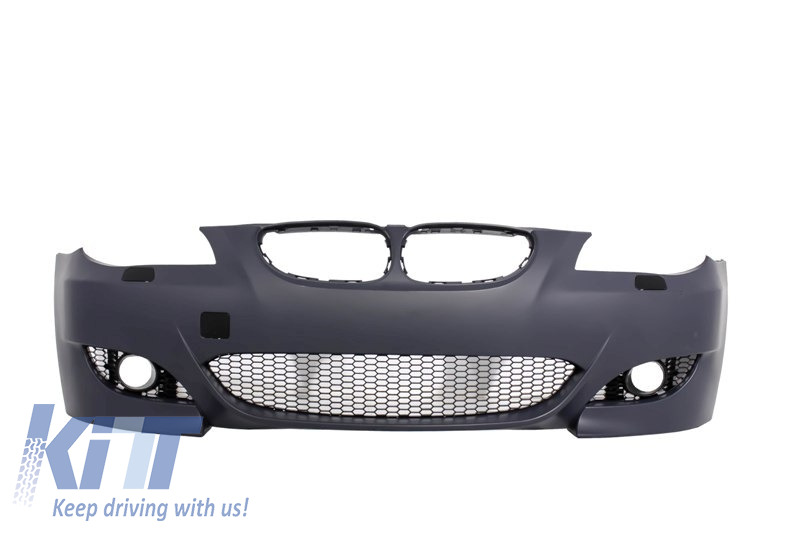 Front bumper is crafted in high quality PP (poypropylene). 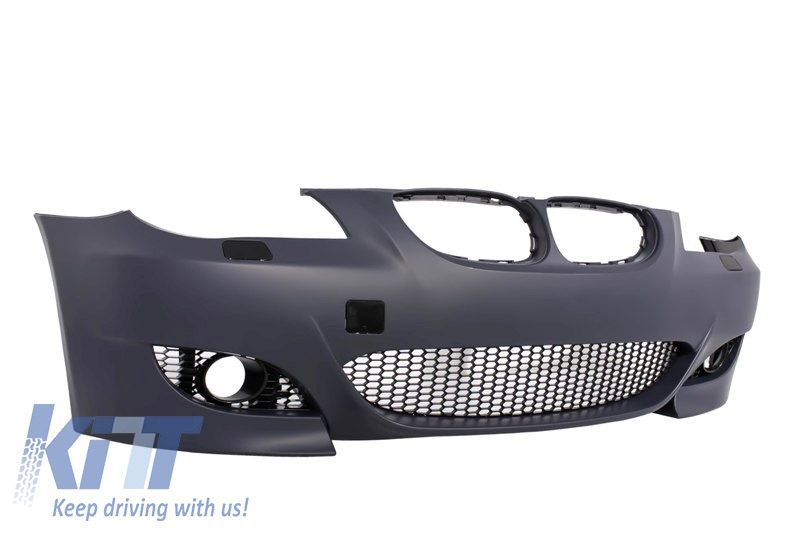 M-Sport bumper requires priming and painting. 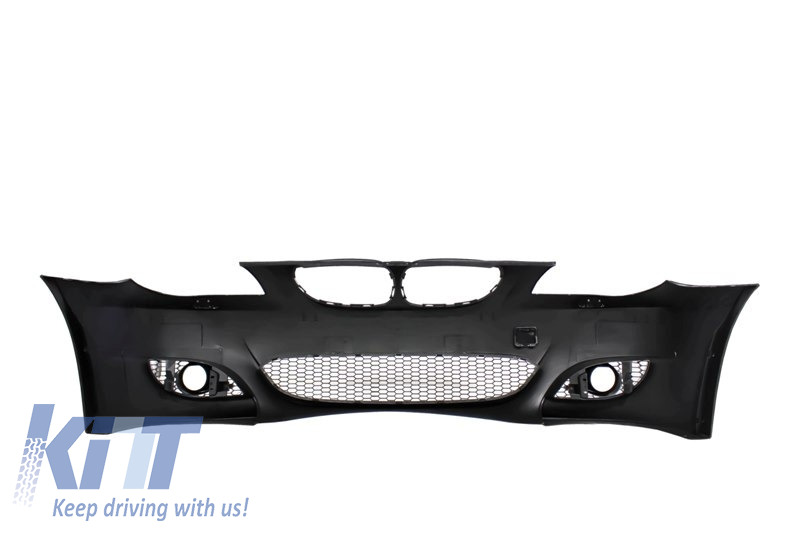 Buy it now Front Bumper BMW F20 F21 1 Series (2011-up) M-Technik Design! 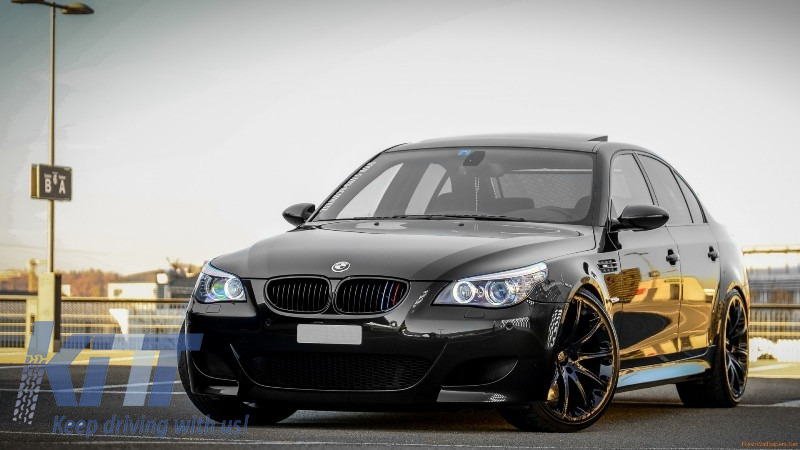 Not suitable for BMW E60 (03-10) Genuine M5 Versions. 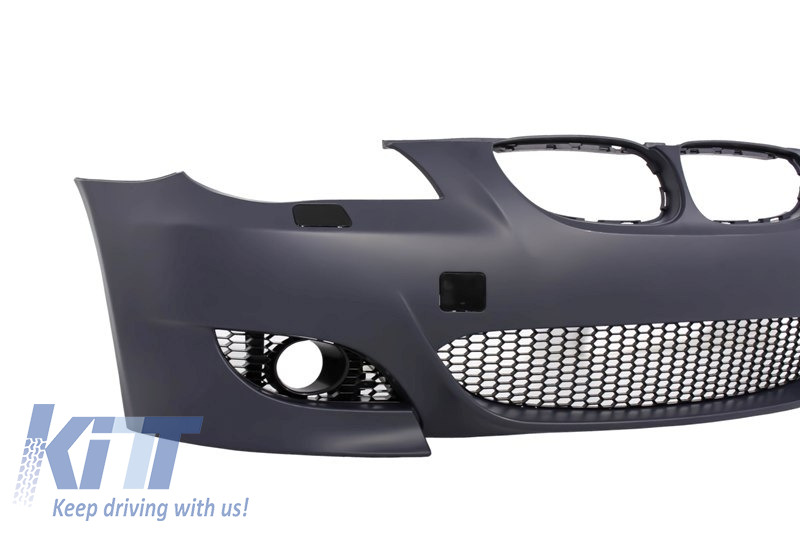 Front bumper is not equipped with Fog Lights, for 2003-2007 models, you can use original fog lights. 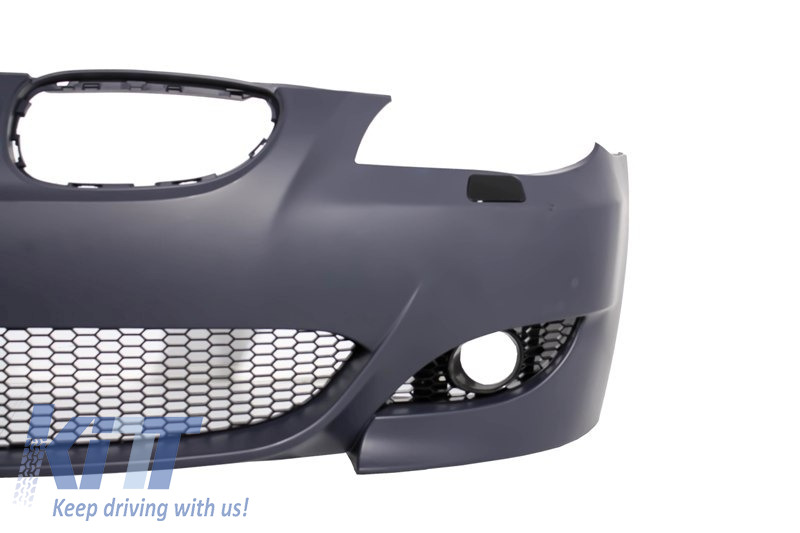 Buy it now Front Bumper BMW 5 Series E60 (03-10) M5 Design !